Both Russia and Scotland kept their Play-off hopes alive following wins in the fifteenth session of round robin play at the ZEN-NOH World Women's Curling Championship in the Tsukisamu Gymnasium, Sapporo, Japan. Russia played Finland with their Play-off hopes still alive. In the fifth end, Russia's skip Anna Sidorova scored one point with a draw-shot to give her team an 8-1 lead. When Finland conceded with the score at 8-2 after the sixth end, the Russians had guaranteed themselves at least a tie-breaker, with one game left on their round-robin programme. Speaking afterwards, Russia's skip Anna Sidorova said: "We were very confident and we played really well, but we have one more game to play." Meanwhile, the game between Scotland and Sweden was crucial for both teams' Play-off hopes. Sweden's fourth player Maria Prytz drew her last stone of the third end into the house to score 2 points and take a 3-1 lead. 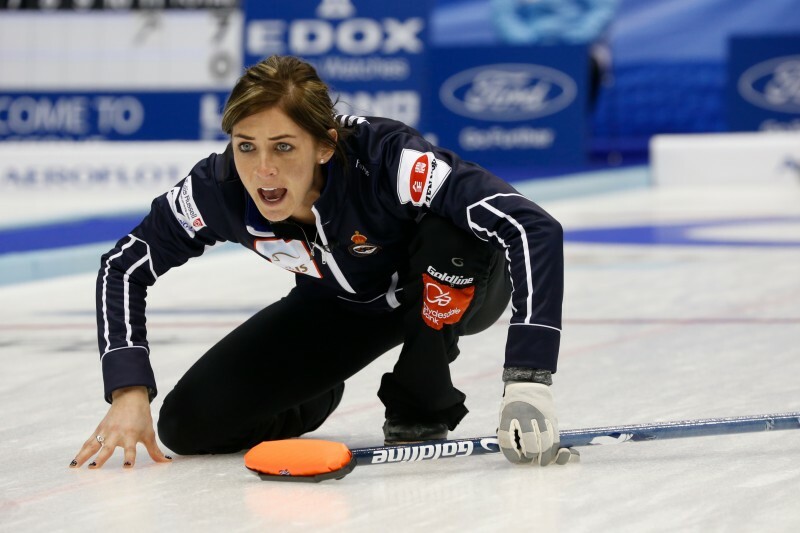 However, in the next end, Scotland's skip Eve Muirhead hit out a Swedish stone and kept her own in the house to score two points and go ahead, at 4-3. Scotland were ahead at 5-4 when Muirhead drew her last stone of the seventh end into the house to score three points and build her lead to 8-4. The Scots eventually won by 10-7. This completed their round-robin programme on seven wins and they will now go into a tie-breaker with the loser of the Russia v China game in the last round-robin session. However, this defeat ended the Swedish campaign. Canada were already assured of their place in the Page 1-2 Play-off game before they came onto the ice to face Japan, while their opponents were trying to keep their slim hopes alive. Canada opened their account with a score of two in the second end for a 2-1 lead and then built on that with a steal of two in the third. Another steal of two in the seventh end gave them a 7-3 lead, and they eventually ran Japan out of stones, with the score at 8-5. This result put Japan out of Play-off reckoning. After the game, Canada's skip Jennifer Jones said: "It was a fun game and a great crowd for the Japanese team. We’re making some shots when we have to and we’re really comfortable with the ice so we can’t ask for anything more." The fourth game of this session, saw Denmark play Norway. Denmark won this by 7-1 to record their fourth win, while Norway now have a final chance to record their first win of the week, against the USA in the last round-robin session. Session 16: Japan 5, Canada 8; Denmark 7, Norway 1; Scotland 10, Sweden 7; Russia 8, Finland 2.